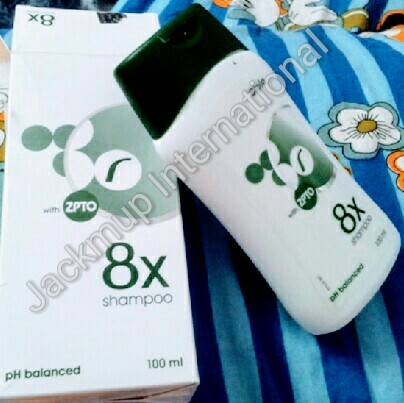 Description:- 8X Shampoo is an Anti-dandruff shampoo contains Ciclopirox along with Zinc Pyrithione (ZPTO). Ciclopirox is an antifungal agent. Ciclopirox acts by chelation which results in the inhibition of the metal-dependent enzymes within the fungal cell. Zinc pyrithione is known to have both a non-specific keratolytic and antifungal activities. Thus it is effective in the treatment of seborrhoeic dermatitis (a greasy, crusting, itching scalp caused by excess oil) and dandruff.